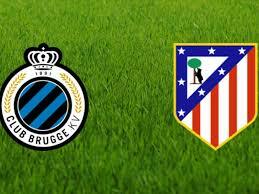 In a match from Group A of the Champions League, Club Brugge hosts Atletico Madrid at the Jan Breydelstadion in Brugge. Let’s take a look. For Club Brugge everything in this group is already pretty clear. The Belgians will finish at 3rd place, which will allow them to continue their European campaign in Europa League. Right now they have 5 points won in the group, being 5 points behind the 2nd Borussia Dortmund and 4 points ahead of the 4th Monaco. The Belgians started their Champions League campaign with two consecutive losses, but after this Brugge managed to win 5 points in their next three games. In their last match they made a prestigious 0-0 draw during the visit to Borussia Dortmund at the Signal Iduna Park. Before the start of the competition, most people thought that Club Brugge are the weakest team in this group. But the Belgians showed everyone that they can play good football and achieve good results. For Atletico Madrid this game is important, because the Spanish club could guarantee itself the first place in the group. Right now Los Colchoneros are leaders in the group with 12 points, being 2 points ahead of the 2nd Borussia Dortmund. If Atletico win at Brugge, they will finish as winners in the group. You can be sure that this is exactly what they want right now. In October Atletico suffered a shocking 0-4 loss during the visit to Borussia Dortmund, but Cholo Simeone’s boys reacted pretty well to this, winning their next two games – against Dortmund and Monaco. In the last few years Atletico reached twice the Champions League final and now they will try to do it again. Their goal is winning the competition for a first time. That’s what we had to say about the Champions League clash between Club Brugge and Atletico Madrid.